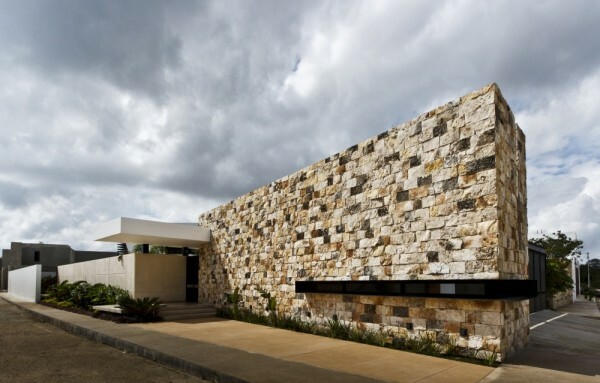 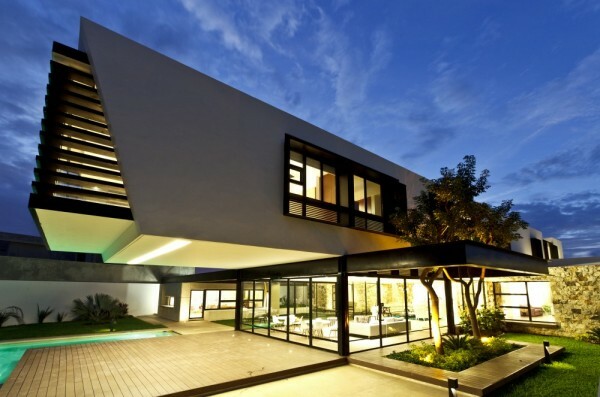 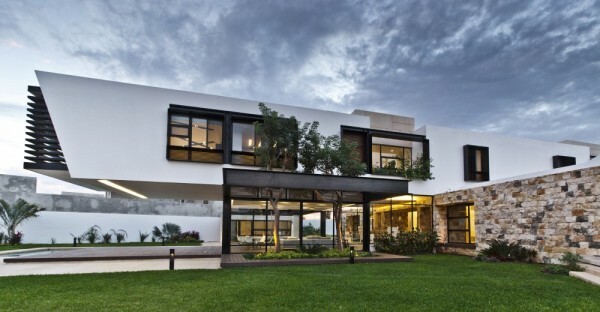 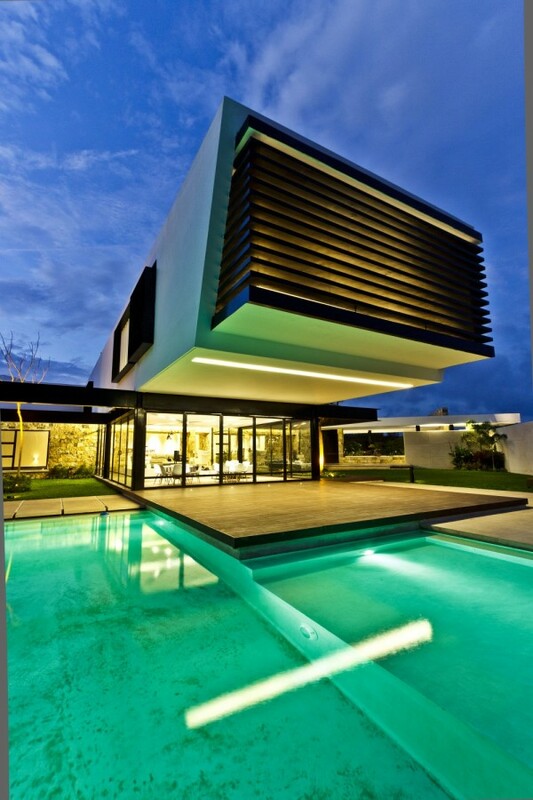 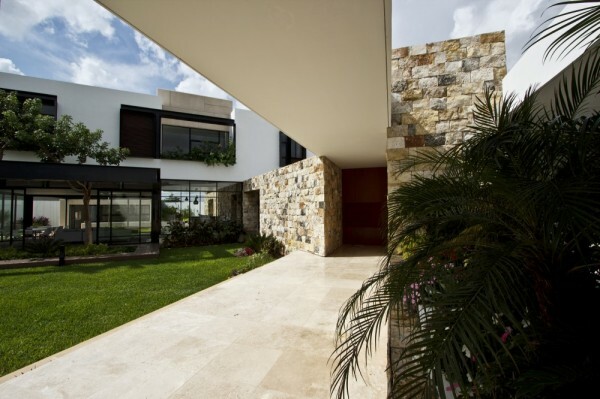 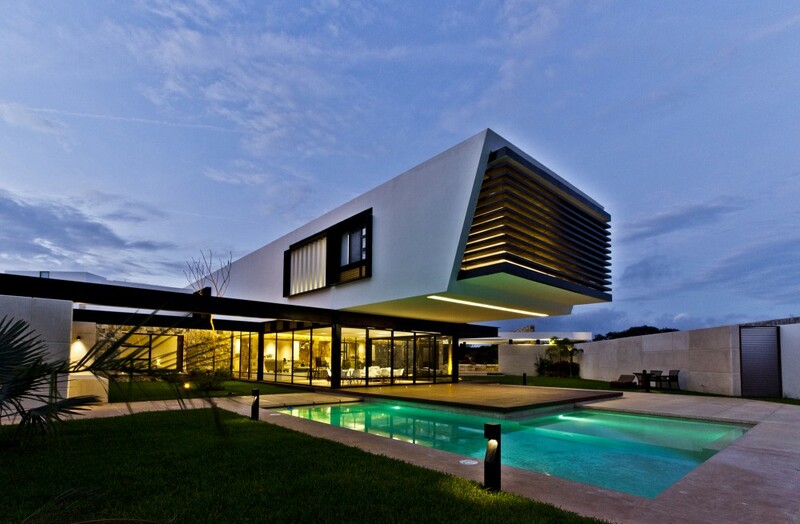 Created by Carrillo Arquitectos, this striking volume of contemporary architecture is a private home situated in a residential area in Yucatan, Mexico. 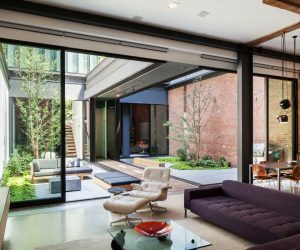 The house has been designed to promote freedom from indoor and outdoor stereotypical ideas, and instead incorporates elements of each ideal into each domain. 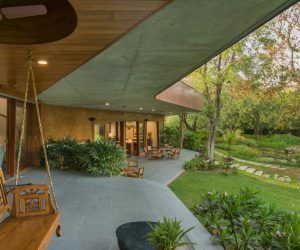 The boundaries between inside and out become beautifully blurred with the introduction of features such as a lily pond which occupies the corner of a lounge space, and a garden that bridges the gap between sheltered living areas. 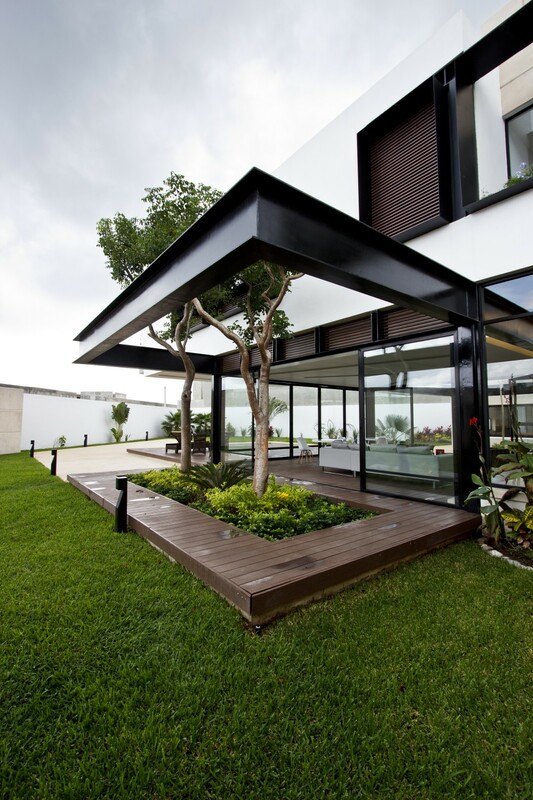 An an unusual garden vista has been created within the decking area that surrounds the glazed walls of the home: two trees can be seen reaching up through an outstretched continuation of the homes ceiling struts, further strengthening the harmonious partnership between exterior and interior features. 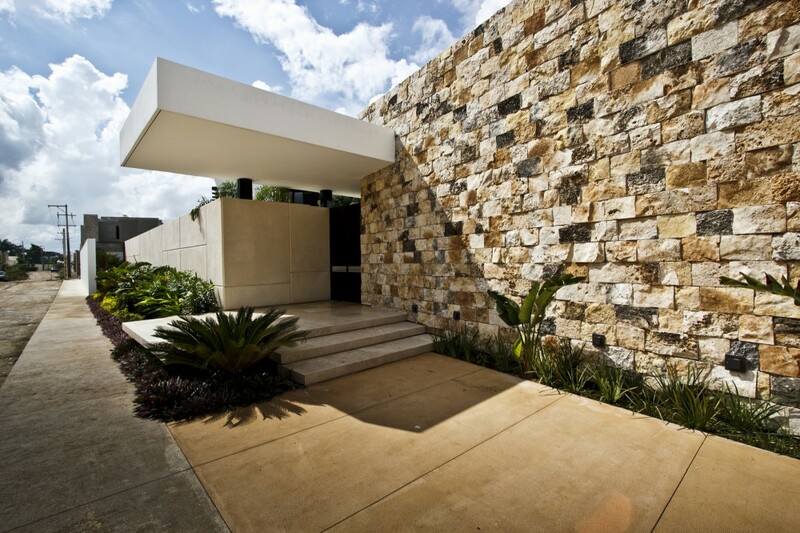 A collection of natural stone walls bring colorful rustic character to the place. 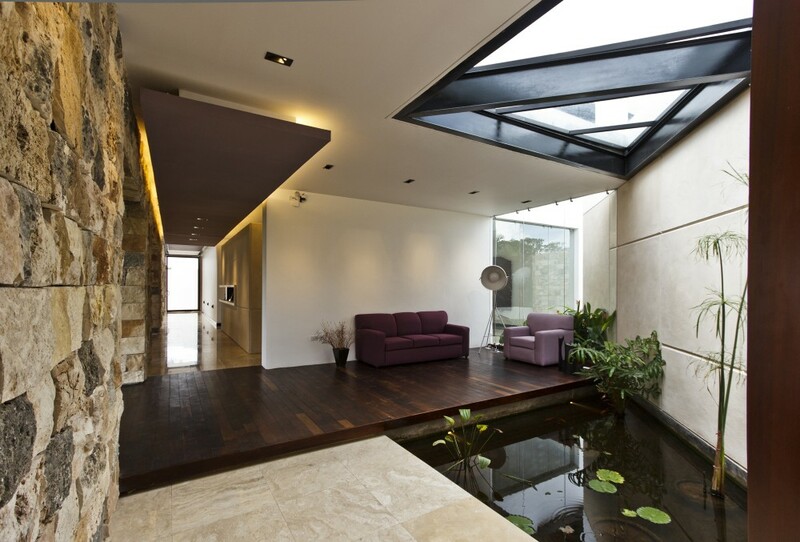 Once inside, nature continues its lively presence, and is nurtured by the sunlight that flows through large cutaway skylights. 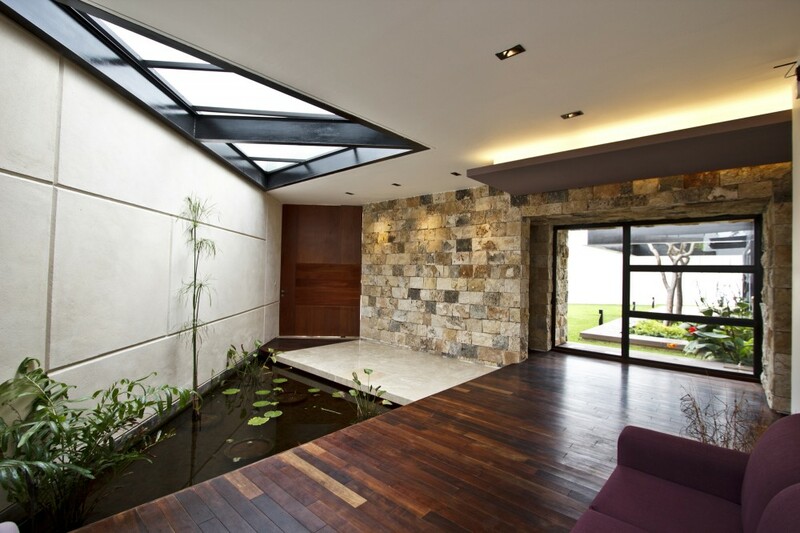 The decking area too seems to run on into the interior quarters, as wood planking has been selected in the entryway, complimented by stone tiling around the body of water. 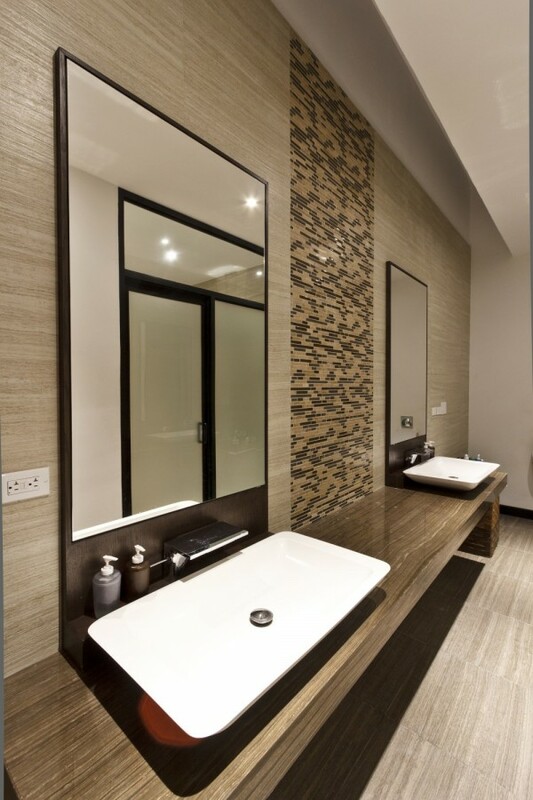 In the luxury bathroom, complete with twin vanity suite, a color palette of earthy tones has been selected to continue the nature theme. 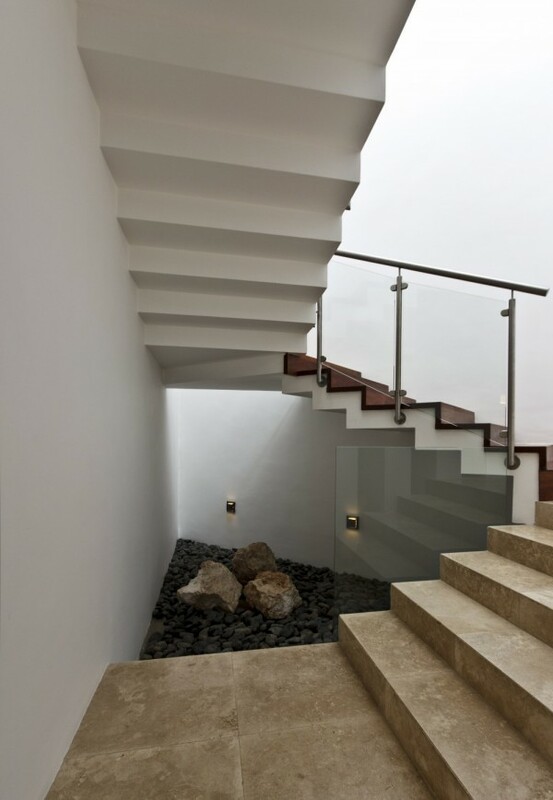 Even the area beneath the stairwell provides an opportunity to display a little more of Mother Earth’s beauty. 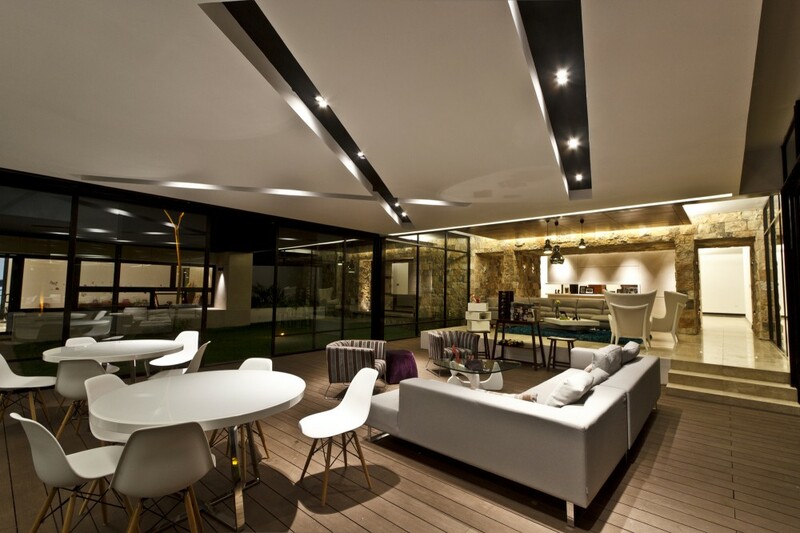 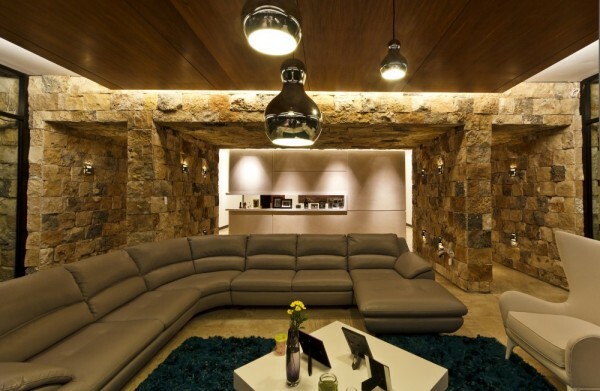 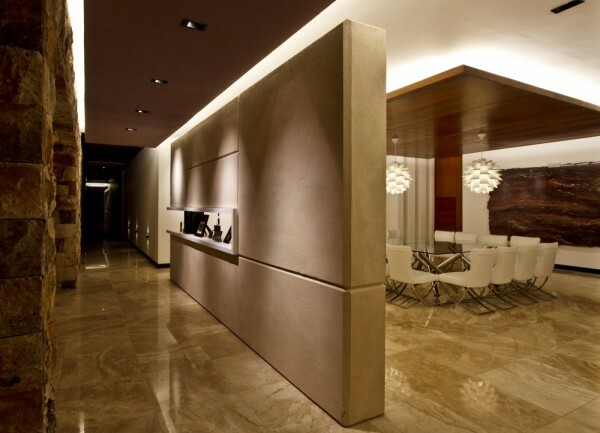 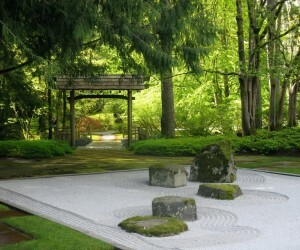 A rock garden has been softly lit by wall mounted LED lighting to create warm highlights and soft shadows. 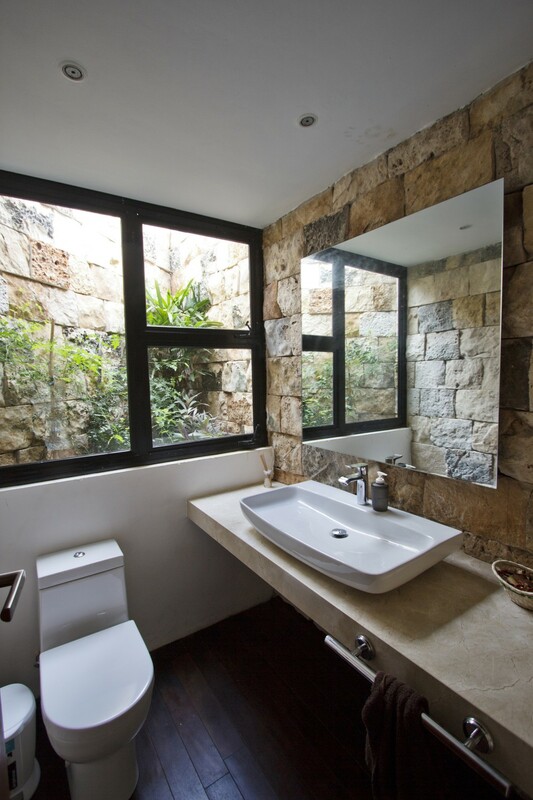 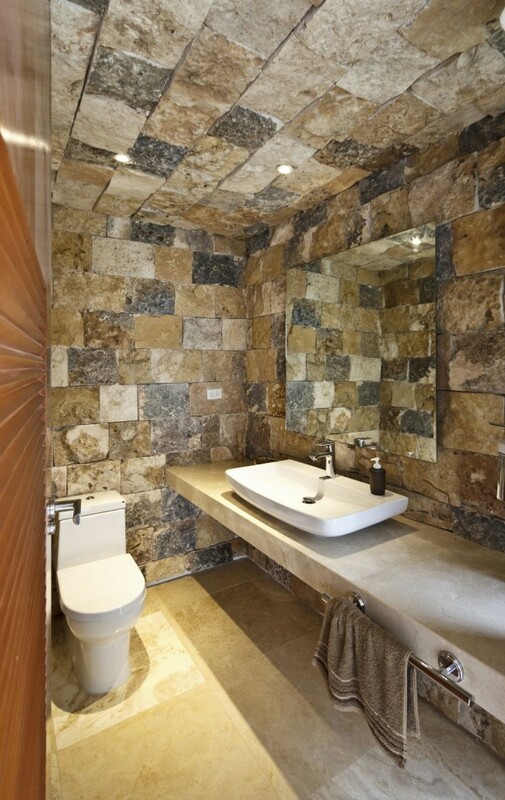 The same stone wall design we see outside of the building becomes the decoration in this bathroom suite. 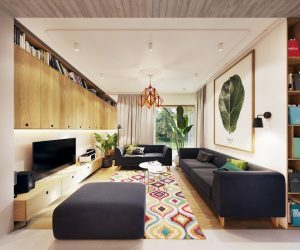 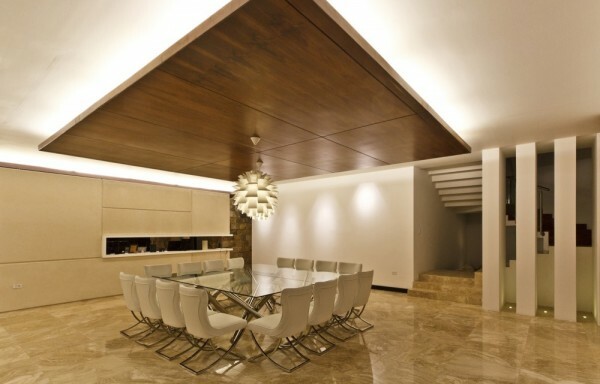 The open plan arrangement is spacious and free-flowing. 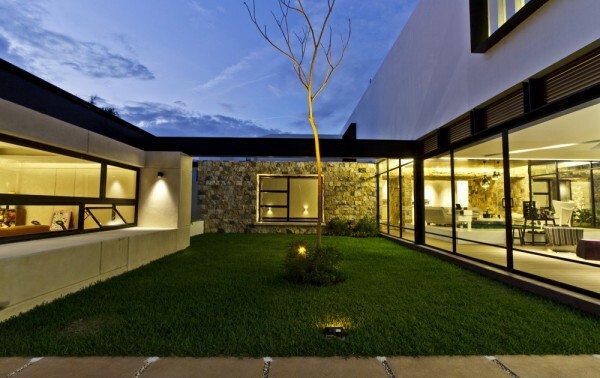 The sandwiched garden is sheltered from the winds by the walls of the home, whilst the inhabitants of the home get to enjoy green views all round.